We are pleased to announce that MIM Law Partner, Tanja Unguran has contributed to the International Comparative Legal Guide on Corporate Income Tax for 2018. 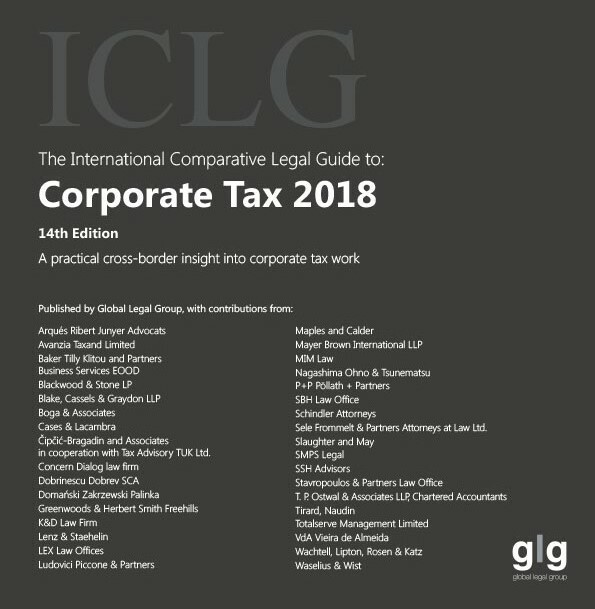 ICLG is prominent international publication providing practical comparative legal information on a range of practice areas, including corporate taxation, for 36 jurisdictions worldwide. MIM Law prides itself on having some of the best tax lawyers in the country, and this cooperation confirms and enhances the reputation of our firm in this field. The Serbian Chapter of the Comparative Legal Guide on Corporate Income Tax 2018 is now available on line on the following https://iclg.com/practice-areas/corporate-tax-laws-and-regulations .